YouTube is providing a different experience to the children with a free of charge. The YouTube Kids App is now an ad-supported with very limited ads on the platform. That means whenever the child selected the video in the application, and they can see an intro ad and follow the ad. These paid ads can be family friendly and were undergoing rigours reviews. The paid ads will not have any click through that diverts the child to another page. Just paid ads will be played before every video chosen by the child. It is the new updated safer version for the kids. There will be many additional advertising policies to advertise your video on YouTube kids. The Youtube kids app must approve by the youtube policy team which serves for the YouTube kids app to avoid the unfriendly content. There are several ad formats requires that advertisers must follow to advertise on YouTube kids. Parents can watch along with their kids as the content will be the kid-friendly content. Kids can tune to good channels as the YouTube Kids platform was completely safe to use for children as there will not be any abusive content included in the platform. Parents can also track the viewing of their children basing on the watch history. YouTube kid’s platform had limited the paid ads to provide the children with a free of charge type experience by limiting the ads. The ad played once the video selected and there will not be any click through that diverts the users. The paid ads can represent with a mark as ‘Ad’ disclaimer. The content that was uploaded by the users will not consider for paid ads. • YouTube is presently accepting the format of in-stream video ads. • 15 seconds is the maximum length for the non skippable ads and 60 seconds for skippable ads. It is generally excluded from the three second ad bumper. • The call to actions and info cards are disabled and the ads will not be clickable. The paid ads must be hosted only on YouTube platform and the thirty party served ads are not allowed. 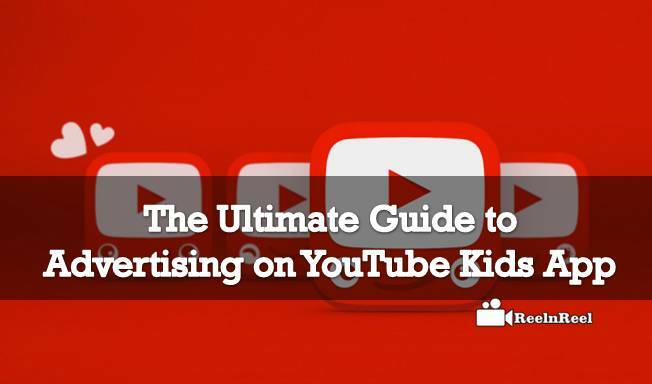 The YouTube prohibits the interest based ads on YouTube kid’s platform and there are many other restricted product categories for YouTube kids. Here are some restricted products lists that are not allowed to advertise on YouTube kid’s platform. • Products related to fitness, beauty, personal care, weight loss, diet and nutrition. • Relationship sites and dating sites. • Illegal products and foods beverages. Political &Religious ads. • Adult and abusive content which is not suitable for children under age of 13 years are restricted. Branding must be with a generalized content which must be clear with no abusive words and content. • Contests, dangerous content, purchase ads and misleading content will not be allowed. • Violation content is also not acceptable on the YouTube kids’ application. Mother Goose Club: It is one of the tops and best kids channel on YouTube in which there will be some funny colorful characters which demonstrates the kid’s rhymes and other songs and movements in an enjoyable way. The channel has a curate playlists which lasts for 2 minutes to 30 minutes. Crafts for kids with Simple kid’s crafts: This channel educates the kids about how to use the scrap to make new things, it is best for younger kids. The Brain scoop channel: The Channel demonstrates various educational topics like earth science and various demonstrations about the animals etc. Coma Niddy: Aka Mike Wilson, who is well-known as a Coma Niddy demonstrates the educational riffs that were related to the nano technology. He explains various concepts to the kids and it is the best channel for older kids and teens. Good Mythical Morning: It is completely based on entertainment which includes the skits, challenges along with the good vocabulary. React videos: the kids react videos are also one of the most expressive channels for the kids and teens. They can know about the truths and society today. Soul Pancake: it is an interesting and entertaining kid channel. It gives the chance for kids to react and question by their thinking. Geek Gurl Diaries: It consists of software educational videos which are very interesting and knowledge oriented. It is the best to channel for the kids who are interesting in computers and their building videos. Vlogbrothers: The VlogBrothers channel focuses on the health videos and good habits as well as some science shows too for kids and teens. Therefore, YouTube kids are one of the best applications for children to watch kid-friendly content. It is good news for parents as they can comfortably work leaving their kids watching channels on YouTube as there will not be any abusive content included in it.